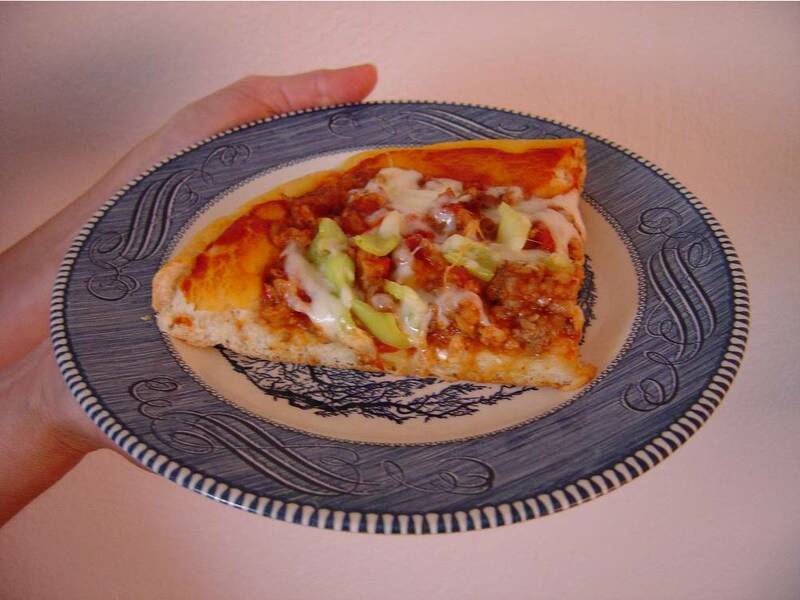 This pizza recipe is easy to make and a great way to use your ground beef leftovers. Food rarely goes to waste in our house unless one of us becomes sick. Unlike some, we make use of leftovers either reheating the dish for another dinner or reinventing something new with what’s on hand. My Meat Lover’s Pizza uses a leftover casserole like my Tex-Mex Hash that has ground beef or turkey as part of the topping for homemade pizza dough. You will be surprised at how much money that you’ll save making your own pizza over buying one. Tex-Mex Hash is one of the easiest casseroles with ground beef or turkey, rice, lots of onions, tomato soup and some spices that you can make. However, any ground beef or ground turkey casserole like a chili work just as nicely in this recipe. 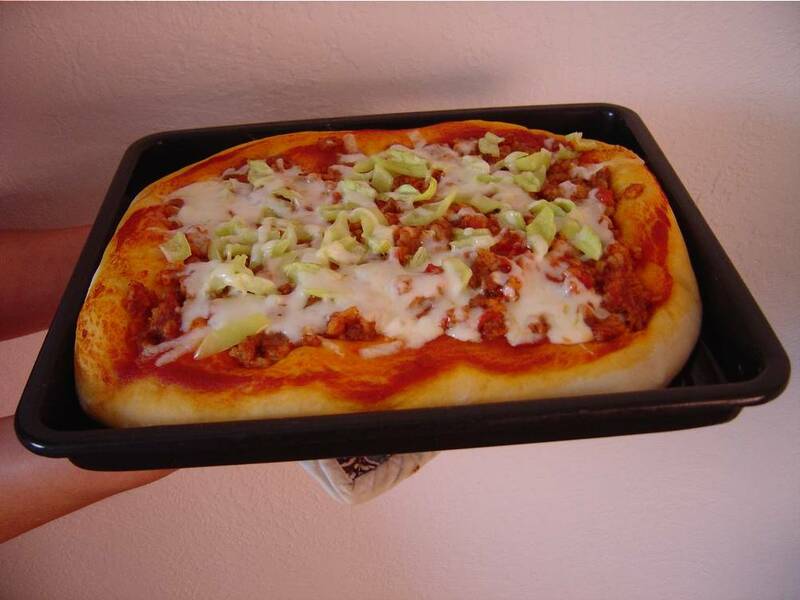 You simply follow my simple recipe for homemade pizza dough. Let your dough grow accordingly. Grease your pan and shape. For this particular Meat Lover’s Pizza, you want the crust to be thicker than traditional pizza to hold those leftovers easily. Once your dough is ready to bake, it’s time to recycle those ground beef leftovers and spread on top, add some pizza sauce or spaghetti sauce if your casserole is not the red sauce variety, some grated Mozzarella cheese (as much or as little as you like) and veggies of your choice. I love hot peppers in mine. Bake your pizza at 400 degrees for 15-20 minutes or until the bottom is slightly brown. Trust me, you will feel good about stretching those leftovers, saving money, and making this delicious Meat Lover’s Pizza. Watch how quickly your family will show up at the table once they know this pizza is now on the menu.